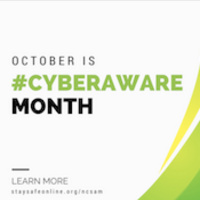 Please join us for a celebration of National Cyber Security Awareness Month in the lobby of the Medical Sciences Building on the Parnassus Campus. UCSF IT and the UCSF Privacy Office will be on site and available to discuss how to stay safe and secure online. Prizes will be provided to attendees while supplies last. This event is being held in conjunction with the UC celebration of National Cyber Security Awareness Month and UCSF Compliance Week.